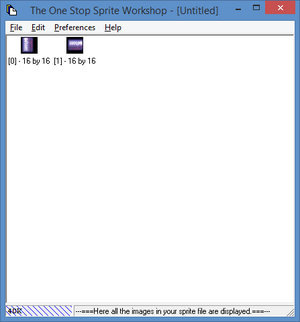 The official Creatures 2 Sprite Workshop (also known as The One Stop Sprite Workshop) is a tool to create S16 files and SPR files from Windows bitmaps. It is not an image editor itself, but works with images created in other programs. A later official program is SpriteBuilder. This page was last modified on 1 April 2019, at 20:47.